Scavenger hunts never get old. They can be used for parties with children, adults or mixed ages. They are equally enjoyable in small, medium or large groups. There are thousands of variations on the basic idea, but there is one thing all versions have in common: scavenger hunt lists. You cannot have a proper hunt without a detailed list of the items players need to find. 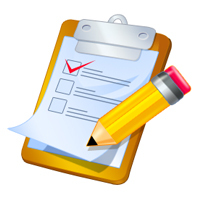 Just as important, the list helps the organizer get everything ready before the big event. With the right lists, everyone is on the same page and the game goes off without confusion. As you look over your scavenger hunt lists, realistically assess whether you can obtain all of the items in time for the event. If you can't or you are uncertain, then it may be best to substitute an item for something that you feel more confident you can obtain. Keep the lists simple. Scavenger hunts can be as big and exciting as you want them to be for any given event. They can be just one small game of many at a birthday party or they can be the main reason people come together, such as having scavenger night for a school group, youth group at church, or other group of people. You have complete creative liberties when putting together your scavenger hunts. Come up with scavenge list items that will make your guests laugh. Play on insider jokes within a smaller group or create new jokes that will be remembered for a long time to come. Start out with basic the lists, then put your unique twist on them. Or, just take the lists as-is if you are in a time pinch. 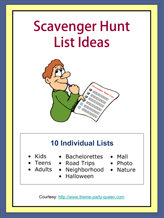 As I was writing all of the pages for the Free Scavenger Hunt Ideas section of this site, I realized it might be nice to put together a bunch of lists to go with those ideas. I created an ebook, and although I don't have them all covered, I do provide 10 excellent scavenger hunt lists that can be used for hours of fun! The ebook is in PDF format and is immediately available. You can gain access to this free ebook in a number of ways. If you want to put a personalized spin on your scavenger hunt, you can start out with one of the scavenger hunt lists presented here then modify the lists to include items of your own choosing. For example, if you print out our list for a Bible scavenger hunt, you may add items so that the list is large enough to accommodate a larger number of participants. You may also choose to alternate some list items with different ideas that you think of yourself. 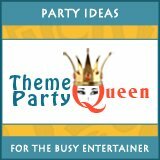 If you are already a Theme Party Queen Facebook Fan, click on the link below. When you get there, click on "Welcome" in the upper left column under the Theme Party Queen image and you will have immediate access to the ebook. If you have a Facebook account but are not yet a Fan of Theme Party Queen, click on this link, Like the Fan page and you will have immediate access to the ebook. If you receive Theme Party Queen newsletters, that means you already have access to the members-only area and would have been given a link to download our free ebooks. Do you still have that link? If not, contact me here and I will send it to you again where you can download the ebook. If you do not have a Facebook account and do not receive Theme Party Queen newsletters, fill in your email address here and we will send you the download link to the ebook. If you are having trouble gaining access to this ebook, contact us here. Below you will find the scavenger hunt lists that I included in the ebook. After you get the download link, store the ebook on your computer and then print off 1 list or the whole book of lists as needed. Scavenger Hunt For Kids - A simple list of 10 items that kids can easily find around the house. Have them work in teams for more fun. Includes things like 1 piece of wrapped candy and 1 sticky note. For Teens - Sixteen items that would be fun for teens to find around the neighborhood. Recently I had a group of kids come to my door and ask me for yesterday's newspaper and 1 candle. This list was inspired by them. For Adults - A list of 20 items that would be perfect for teams of adults to find either at a single party location or driving/walking from location to location. Includes silly things like a tea bag and a pine cone. Halloween Scavenger Hunt - Suitable for all players. If small kids are involved, team them up with some older kids or adults. Includes household items like twist ties plus other random items like two small rocks and a 4 inch piece of dental floss. Bachelorette - Here is a list of items that the Bachelorette has to gather, like three different guy's phone numbers and 2 cocktail stirrers plus a whole section of things she needs to be photographed doing like leaving a lipstick kiss on a mirror. Road Trip Scavenger Hunt - Fun excursion for teams of people in a car. 10 different photos need to be acquired of at least one team member doing random things like standing under a gas station sign showing the price and sitting on a red car. Neighborhood - Perfect for groups of teens or adults. 26 items that can be obtained by roaming from house to house in a neighborhood. Things like 1 piece of junk mail, a travel size bottle and 2 safety pins. Mall Photo Scavenger Hunt - This would be fun for any group of adults or teens. The list includes 16 items that they have to be photographed doing in a mall like pointing at a male mannequin, with a receipt showing today's date and skipping in the mall. Photo - This one is suitable for everybody too. It has a list of 10 photos that have to be taken of at least one team member doing things like lunging, hugging a neighbor and swinging on a swing. Nature Scavenger Hunt - This would be fun for kids to do. It includes 18 items that can be found in nature like blades of grass at varying lengths, twigs and nuts like acorns. There is also a section with bonus items that are tougher to find like a seed pod. Scavenger hunt lists are not hard to come up with. Either download ours or design your own using things you see everyday in your home or around town.